Rich articles, galleries video listings, games, tests and trivia. The best digital entertainment fits in simple formats. 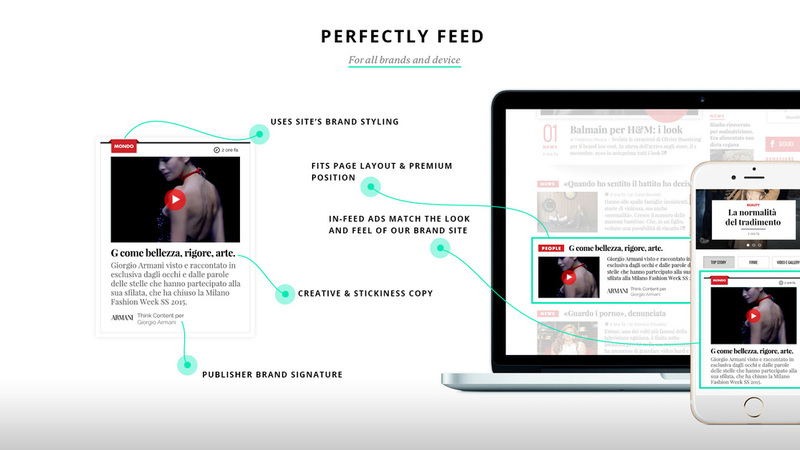 The feed native ads receive more attention (x2) than banner ads and is the new design standard for the mobile era.